Selling your motorbike with Motorcycle News (MCN)? If you are thinking of selling your motorbike on Motorcycle News, why not first check how much We Buy Any Bike will value your bike for? If you sell your bike to motorbike trader, WeBuyAnyBike.com you don’t have to take the time creating an advertisement, take calls from possible time wasters or have strangers turn up at your house. All you would need to do is fill in your registration number and receive an instant online valuation if you are happy with the quote we will collect your bike within 2 days for free. We keep it as simple as possible, giving the best price for your vehicle first time so you don’t have to worry about haggling. There are no up-front charges or administration costs to you before or after the transaction. We always make sure the funds are cleared in your account or you have the cash in your hand before we leave with your motorbike. What could be easier? If you would just like to know more information about Motorcycle News, read further down! How did Motorcycle News come about? Motor Cycle News is the weekly motorcycling newspaper published by the Peterborough company called Bauer Consumer Media. 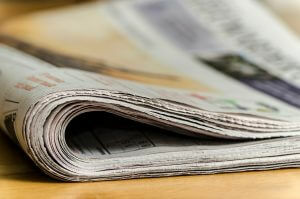 It’s claimed that MCN is now the biggest weekly motorcycle newspaper worldwide, with nearly half a billion papers sold and more than 1.5 billion readers. 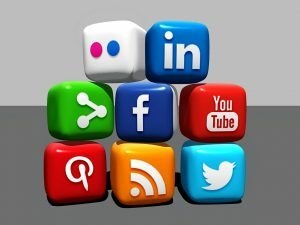 As well as newspapers MCN is extremely active on social media and their website, MotorcycleNews.com. MCN was founded in 1955 by Cyril Quantrill, who was a former employee of Motor Cycling. At the time there were two weekly magazines that were leading the market, Temple Press and The Motor Cycle. These were published on the Thursday of each week, Quantrill saw there was an opening for a Wednesday paper which could concentrate more on Sport. Quantrill teamed up with a friend whose father owned a print works, Peter Baldwin. Quantrill had everything he needed to produce the first Motorcycle News in November 1955, printing at Baldwin Press. Although things were going well, the magazine was limited to only 3,000 print capabilities. Quantrill knew the only way forward was to sell, he came to an agreement with EMAP in 1956. Quantrill remained at the magazine as editor and Motorcycle News expanded rapidly. By the time Quantrill resigned the magazine’s circulation was at 67,000. By 1962 Motorcycle New has been split into three short words Motor Cycle News and became known as ‘MCN’. The main revival for MCN was Motor Cycle, which then changed its name to Motor Cycle Weekly, however as MCN was growing this paper didn’t stand a chance and eventually closed in 1983.
to go, creating an extremely successful website called MotorcycleNews.com and covering all social media platforms. MCN has tested every bike possible, writing reviews and blogs for their subscribers. If anyone wants to know anything about motorbikes, buying or selling, MCN has now become the place to go. They review different motorcycles, quiz manufactures and report their findings. Are you wondering what motorbikes are on the market at the moment, and where they are priced? The MCN website is a great place to check out. If you are wanting to sell your motorbike, have a look at WeBuyAnyBike.com to receive an instant quote! If you are thinking of selling your motorbike, We Buy Any Bike will offer you a free online valuation and the best price available. We make buying your bike as quick and easy as possible, picking up from anywhere in mainland England within two days. 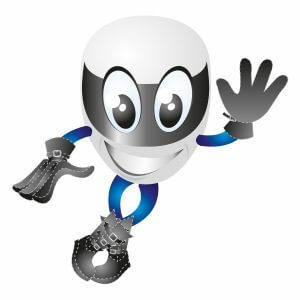 WeBuyAnyBike are the UK’s top motorcycle buyers and motorbike trader. We will make sure selling us your motorbike is stress-free, so you will use us again. Over half of our customers are actually repeat business, which we love to hear! ‘I want to sell my motorbike’.. we can help. We don’t just want to buy your motorcycle. We want you to sell us your motorcycle and tell all your friends how easy and straightforward it was. If you are wondering how much money you can receive for your motorcycle. 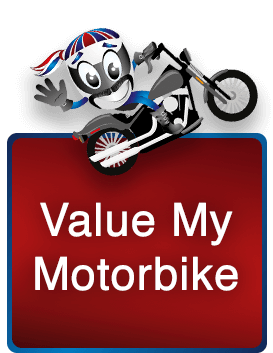 All you need to do to value your bike is enter your registration into our website. We will give you a fair and accurate price, We Want Your Bike!